Kawasaki working on an electric powertrain is not exactly news. 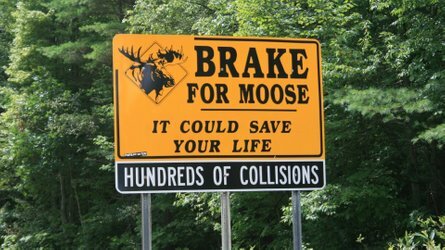 We’ve been suspecting the Green Brand has been looking into a zero-emission engine for a few years already, with patents emerging as early as 2016. More recently, in early March, we dug out some documents about an electric engine cooling system. Now, we get a look at something we have yet to see in all these rumors and filings for electric motorcycles: Kawasaki has recently patented a detachable frame on what looks like a Ninja 300. This one was a long time coming! In fact, the company filed for the patent in 2013. 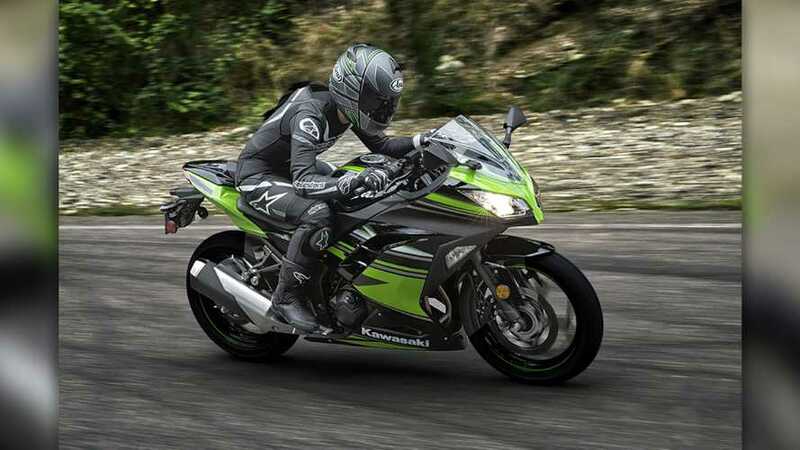 It was finally published on March 27, 2019 and gives us a peek into what Kawasaki has been working on behind the scenes. 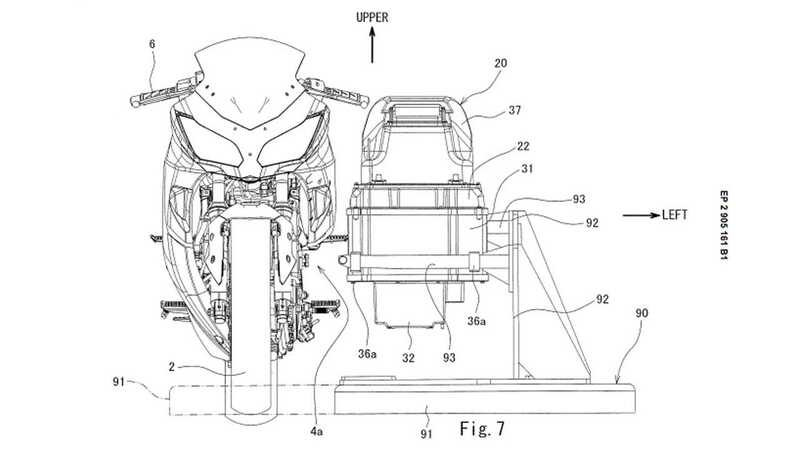 Unlike the previous patents that hinted at an electric Kawi in the works, this ones gives the bike a face—the face of the former Ninja 300. 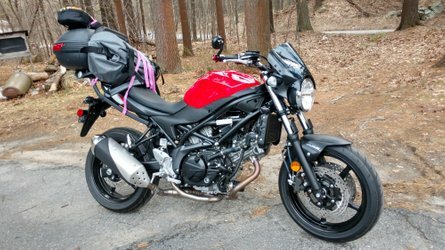 Considering that back in 2013, the smallest displacement the brand had to offer in its sport lineup was the 300 rather than the newer, more refined 400. 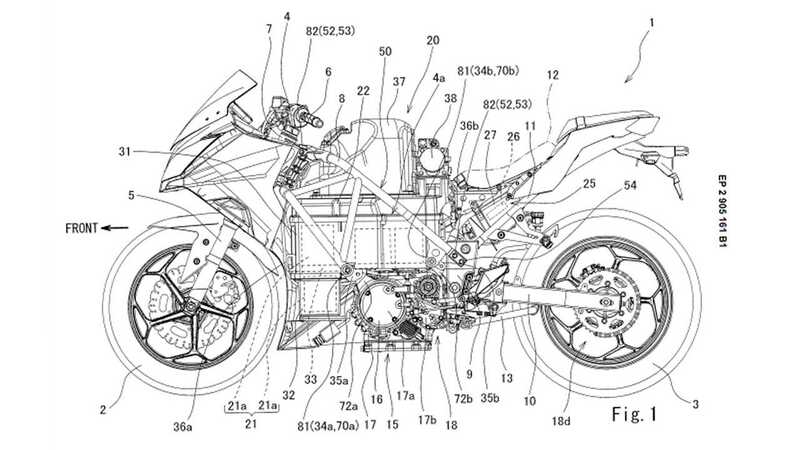 Interestingly, the patent describes how the electric sportbike would receive a standard tubular frame with the particularity that the left portion of the frame would be equipped with a set of hinges, allowing for part of the side of the frame to pivot and open up to give free access to the batteries. 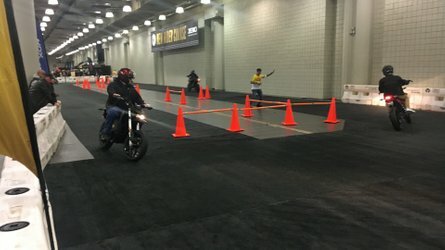 Inside the frame, the document details how the motorcycle would be equipped with a lithium-ion power source, with a primary battery that can be swapped for a fully charged unit once power is depleted, and a secondary battery that can be charged. Has Kawasaki been working on a swappable battery technology all this time? A platform with forks that would allow for the removal of the battery pack is also described. Thanks to the detachable portion of the frame allowing for easy access to the battery, the support can simply be rolled over to the side of the bike and the forks slid in to mount or dismount the battery block. 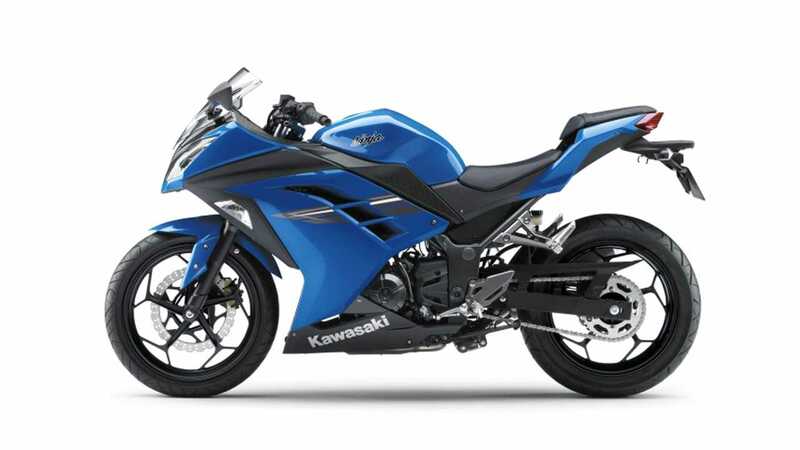 Whether 6 years later Kawasaki is still considering the frame of the Ninja 300 as a contender to receive an electric powertrain remains to be seen—the lighter frame of the 400 could present a very real advantage over the 2013 design. 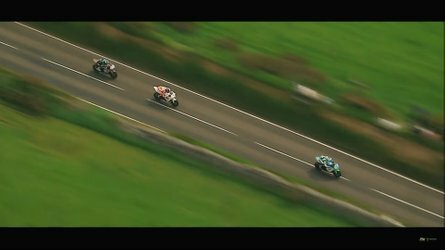 This could mean, however, that unlike other manufacturers opting for a more standard silhouette or an enduro model to get their electric journey started, Kawasaki is seemingly looking into something a little sportier and that this little sportier thing could get a swappable battery!